‘Opera is an important and beautiful diversion’, said the great Italian music composer Luciano Pavarotti. The quote will soon become true about the changing cultural scenario of Dubai as an upcoming opera house in Dubai will divert people from the monotony of their daily lives with enchanting performances. 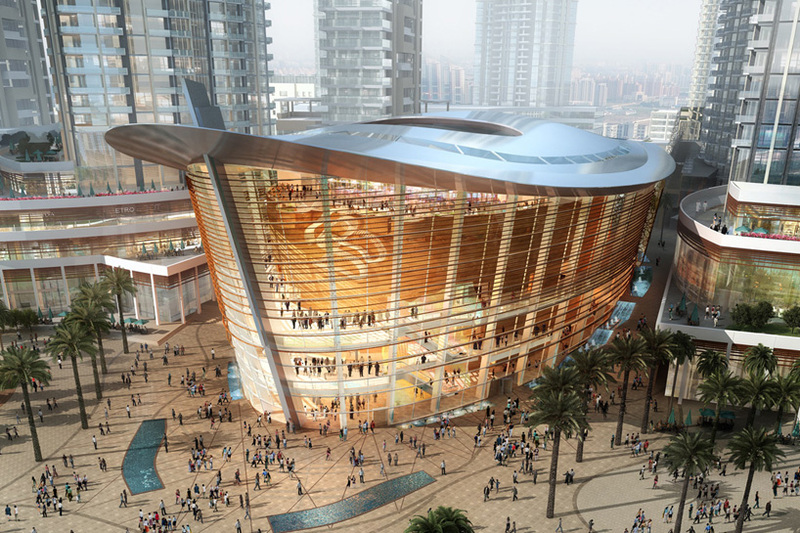 All set for opening in September 2016, Dubai Opera House is the first multi-format performing arts theatre in the city. Among the new and upcoming Dubai tourist attractions, the opera house will be the center of attraction in the Opera District which is being developed as a cultural hub close to the world’s tallest building Burj Khalifa in Downtown Dubai. The Dubai Opera House is the first of its kind sprawling over an area of 35,000 square meters. On completion of the ongoing construction, the complex will offer dining space with seating capacity for 1000 guests, a proscenium arch theatre, an acoustic concert hall and a 2000 square meter floor for events. The cultural life of Dubai City will turn over a new leaf with the upcoming Dubai Opera House to host and produce a lineup of events and programs from across the world. The 2000 seat art theatre will be throbbing with a wide range of cultural and lifestyle events such as operas, ballets, concerts, cinema, standup comedy, classical performances, etc. It will evolve into a cosmopolitan venue for rock, pop, jazz and Arabic music lovers. Influenced by the rich heritage of Dubai, the opera house architecture will boast a transparent all-glass hallway with resemblance to vintage dhows. Once opened to public, the new opera house in Dubai is supposed to be counted among the world’s top opera houses including Sydney Opera House in Australia and New York’s Lincoln Center. Sydney Opera House, a UNESCO World Heritage Site, is famous for its unique architecture. The Metropolitan Theatre at New York’s Lincoln Center hosts Broadway performances. The upcoming Dubai Opera House will draw comparisons with Sydney Opera House and the Metropolitan Opera House in New York in cultural opulence and architectural grandeur, according to the developers. “Dubai Opera House is our tribute to our city and the vision of His Highness Shaikh Mohammad Bin Rashid Al Maktoum, Vice-President and Prime Minister of the UAE and Ruler of Dubai, to establish Dubai as a seat of arts, culture, performing arts and world-class events,”said Mohammad Alabbar, CEO of Emaar Properties. He added that the upcoming opera house would contribute towards the making of Dubai as a ‘City of Happy, Creative and Empowered People’. So get ready to spend musical evenings over great opera shows at the upcoming Dubai Opera House. Travel on Cheap Flights from USA to Dubai, Manila, Bangkok, Dubai, Singapore, Abu Dhabi, Hanoi, Doha, Beijing, Chiang Mai and other major cities on iEagle.com. The lowest airfare is guaranteed!